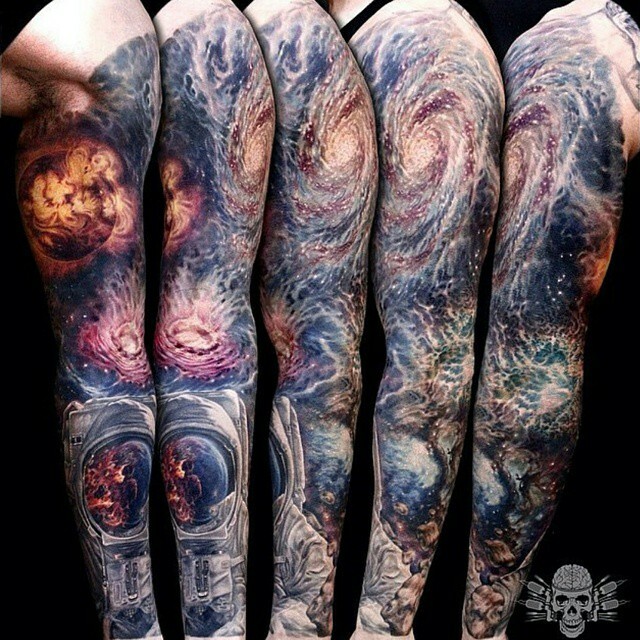 Sleeve tattoos can be rather spectacular. With so much time and effort being put into the detail of the design, it takes great skill to pull sleeve tattoos off. It’s difficult to give a clear and defined answer to how much a sleeve tattoo costs because so many different factors are involved. These large and intricate tattoos are not for the faint-hearted or for those on a tight budget though, as they take many hours, and dollars, to complete. 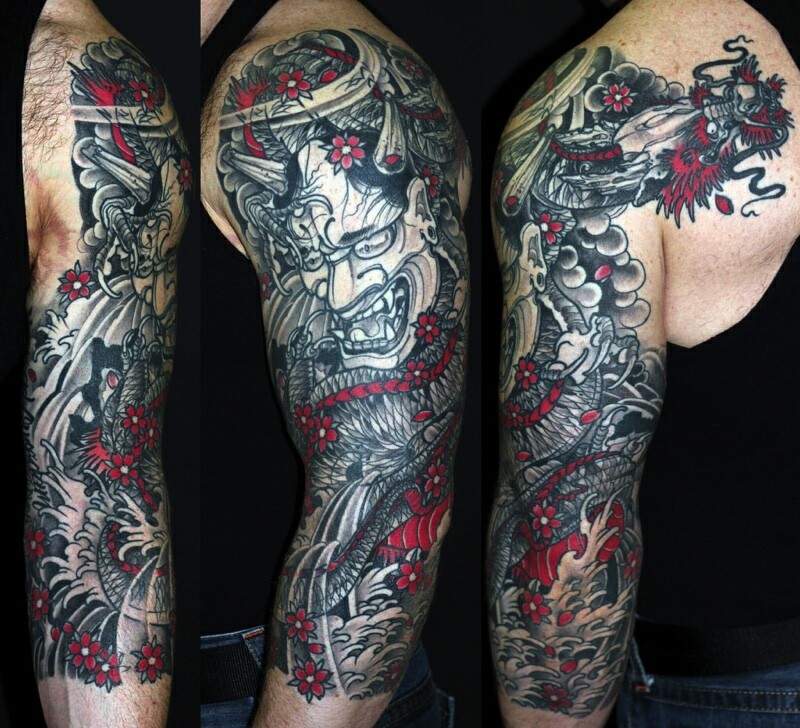 What Can Determine How Much a Sleeve Tattoo Costs? How Much Should You Pay for a Half Sleeve? There are a number of different factors that affect the price of a sleeve tattoo. Let’s take a look at some of them. The price of a tattoo artist’s hourly rates is largely dictated by the city that they’re based in. Those working in major cities like New York or San Francisco are likely to charge higher rates than artists in smaller towns or cities. You are bound to find a talented tattoo artist outside of the big cities if you are looking to spend less. However, sleeves take a long time to complete, so don’t stray too far from home. 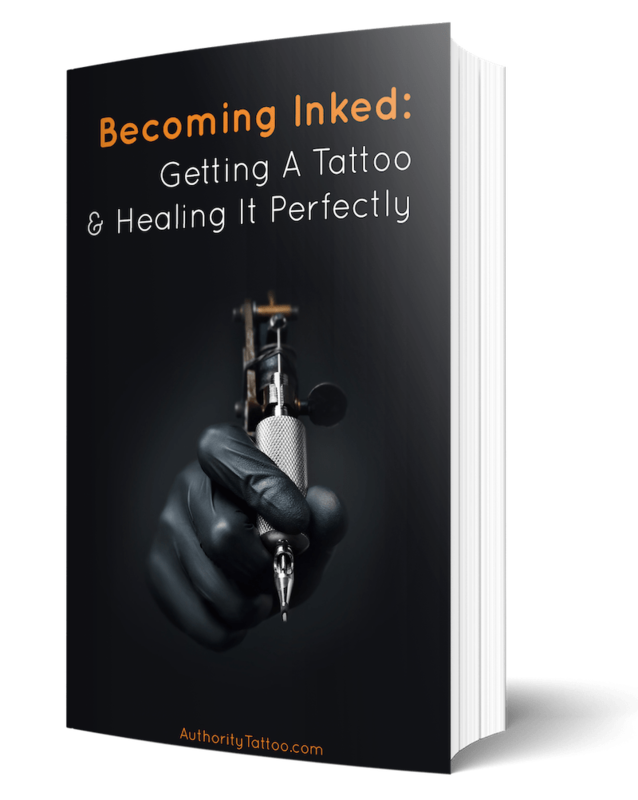 You will be making multiple visits to your tattoo artist, so make sure you’re prepared to travel the distance. This is especially pertinent if you go for an artist based out of town. Tattoo artists charge for their time, with most having hourly rates. With that in mind, the longer a given tattoo will take to complete, the more expensive it will be. Consult with your tattoo artist to get a better understanding of how long your desired sleeve design will take. Large designs with numerous intricate details will, of course, take longer to complete than simple or basic designs. The artist you choose to do your tattoo will also impact on the overall cost. Artists that are particularly well-known or popular may charge higher rates for their work. Those with years of experience are also more likely to have an expensive hourly rate. While you may be tempted to cut the costs by choosing a less popular artist, make sure you don’t compromise on experience and talent. A sleeve tattoo is a large piece of work that takes a great deal of skill and time to complete. Remember that a tattoo is for life, so you have to be one hundred percent comfortable with the skill and capabilities of the artist. Sleeve tattoos are obviously large and cover the whole arm. However, not all arms are the same size. 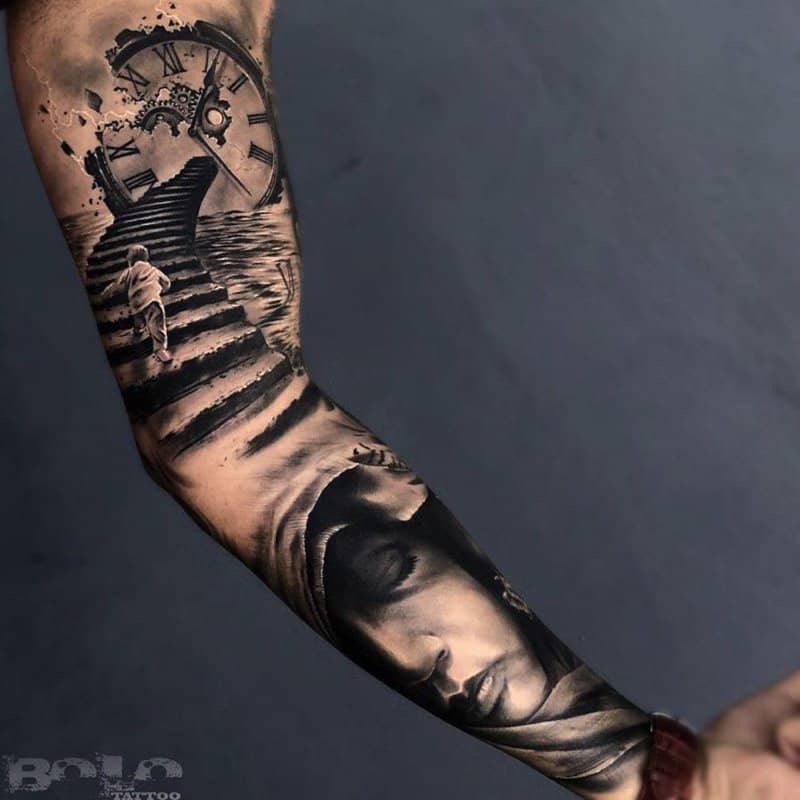 If you have a larger or longer arm, then the sleeve will take longer to complete and will end up costing more money. This is obviously a factor that will affect everyone differently. However, it is worth taking this into consideration when it comes to budgeting for your tattoo. The overall design you decide to go for on your sleeve will also affect the overall cost. The more complex and detailed a design, the longer it will take to complete. Also, consider if you want your design to include different colors and shading. Take time to discuss the details of a design with your tattoo artist and ask how different elements will impact the time and cost. Consult with the tattooist on any design ideas you already have, for example, color and style. Listen to any advice you’re given and think about it before going ahead. The tattoo is going to be with you for life, so needs to be exactly what you want. Most tattoo artists charge for their services by the hour. The amount that they charge is based on how popular or experienced they are, as well as the city they work in. Popular and experienced artists tend to charge higher rates, as do artists based in busy cities. The average rate that tattoo artists charge per hour can be anywhere from $50 to over $200, with the U.S. average being around $80. 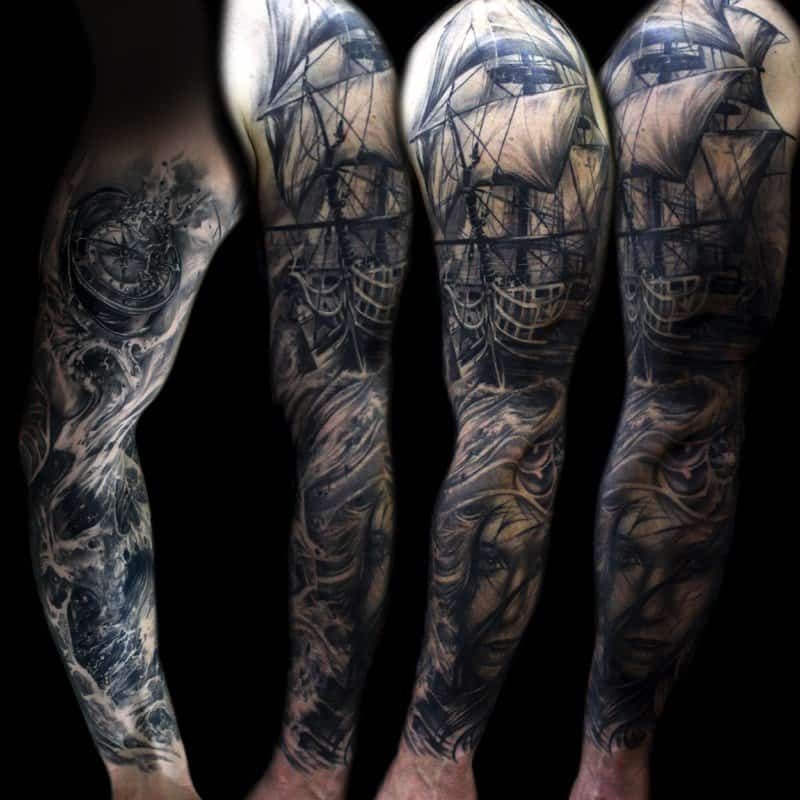 Depending on the overall design of your sleeve, as well as how big your arm is, you can work out an approximate cost. 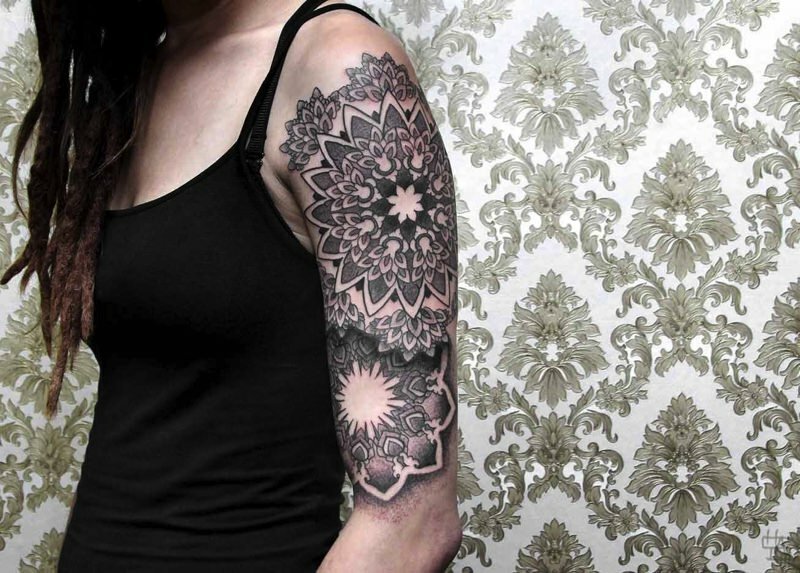 Intricate and detailed designs on bigger arms will take more hours of work to complete. Generally speaking, it should take a minimum of ten to fifteen hours to complete a full sleeve. However, as the size and detail of a design go up, so does the time it takes to complete. Some sleeves may take up to eighty hours from start to finish. Factoring in the hourly rate of your tattoo artist, sleeves could cost anywhere between $2000 and $16,000. The only way to get an accurate picture of what a sleeve will cost you is to speak to your tattoo artist. Discuss the design you have in mind with a few different artists and see if there is any major difference in price. The amount that you plan to spend on any tattoo should always be within your budget. When it comes to larger tattoo designs like sleeves or half sleeves, you must be prepared to spend a little more. The overall price is based on the time it takes to complete and the hourly rate charged by the artist. Basic half sleeve designs will generally cost from $900 upward. Again, this is dependent on the location of the artist and their experience level. 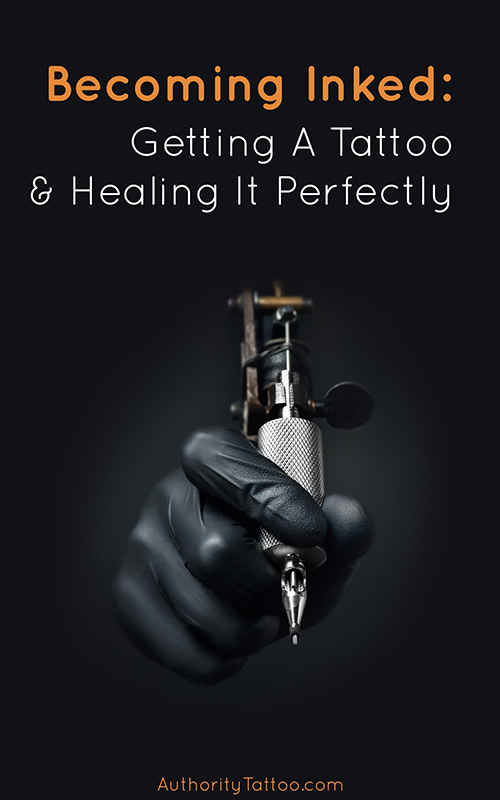 Most tattoo parlors will be happy to give you a quotation prior to starting work. Speak to your tattoo artist, get an idea of the time it will take to complete the work, but also mention how much you are hoping to spend. They may be able to alter the design to make it a better fit for your budget. Remember that should you also decide to buy a good tattoo aftercare lotion, this will also bump the overall cost of your tattoo up slightly, although, generally, these lotions are relatively cheap. There isn’t a set price for a sleeve tattoo. It is dependent on so many different factors. You should have an idea of how much you are prepared to spend, then you can try to find the best artist you can within that budget. Worried about how much a tattoo sleeve costs? Work with your tattoo artist to develop and adapt the design you want, bearing in mind that complex and detailed work will always push the price up. However, as sleeves tend to take so long to complete, you may not be tied to one large lump-sum payment. You will get to break up the cost into installments over a period of time.